Osmar and Logan just minutes after their first hug. After quick hugs and photos, the boys were off and running, making good use of every minute of their short day together. Logan and Osmar have shared letters through Compassion International for about two and a half years, and they finally met in person last week in Guatemala City. It was no surprise that the two were instant best friends. They have many things in common, including a love of sports and big smiles. Both love to help their mothers cook meals. They even share the same position in their families: third child, with two older brothers. Within minutes of meeting, they each wore the same blue Dodgers baseball hat and jersey as well. They filled the day playing soccer, air hockey, basketball and ping pong, racing through an obstacle course several times, and pausing only briefly for lunch. They hugged often and always were smiling, having fun even when a translator wasn’t around to bridge the language barrier. After lunch, the boys exchanged gifts before they were running again. Logan sponsored Osmar in February 2013, and this was the day that brought that sponsorship to life. He had traveled to Guatemala with me and spent the week visiting Compassion projects around the country, learning how the program works and playing with children at each stop, but today was the day that mattered most to him. And when the time came for goodbyes, it was clear the day had impacted both boys greatly. Tears and hugs followed, and after our initial farewells, Osmar managed to find Logan in the crowd again, running back for one last hug. Logan already is making plans to visit his Guatemalan brother again in the future. Osmar and Logan with Osmar’s mother, Delores, and the correspondence director from his Compassion project, Yancy. 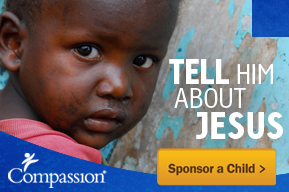 This entry was posted in Compassion International, Guatemala and tagged best friends, boy, child sponsorship, child visit, Compassion, Compassion International, friends, Guatemala. What precious photos!!!! And what a neat relationship. My first sponsored “child”, who is now an adult, is like my sister. I bet Logan and Osmar’s similar brother relationship will continue to strengthen over the years. What a gift from God! I hope they stay close! It was really special watching them together! Wow that’s amazing!!! I wish I could go visit my child, except she’s so far away. That is so awesome!! Where does she live? You never know what God’s plans might be for you! Kenya. And I live by the Great Lakes. It’s expensive and I don’t know how I can raise money to go.